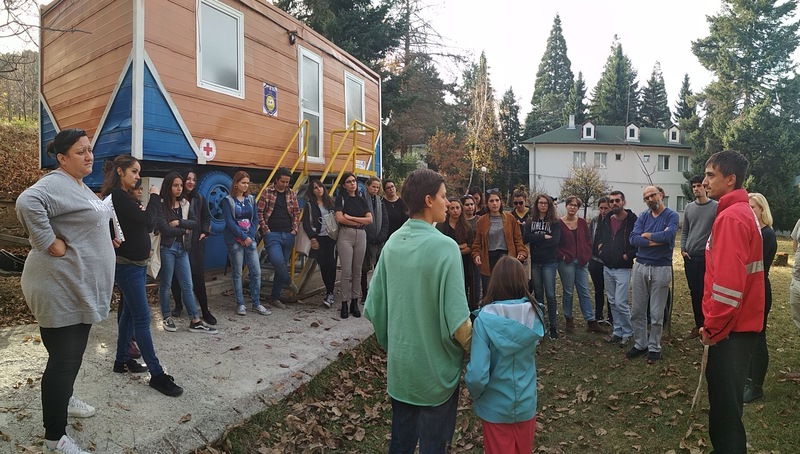 This training course took place from 1st till 7th November in the Red Cross base in the village of Dolni Lozen near Sofia. 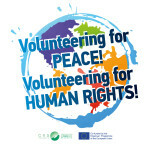 34 participants including the trainers took part in it and for the whole week they enjoyed a good weather, the peaceful venue, the intense discussions on the topic of human rights and forced migration, the sharing of personal and professional experiences amongst each other, the stories from the guest lectors, the power of Human library as readers, one of the participants even volunteered to be a book, the meetings with the local NGOs which work on raising awareness or directly with refugees, asylum seekers and migrants, the only earthquake simulator on the Balkans, a campfire evening, international sweets and salty coffee breaks, Bulgarian cuisine and wine, and the overall great atmosphere that was created and everyone contributed to it. After arrival on the very first day there was not a second waste to start the games for getting to know each other. 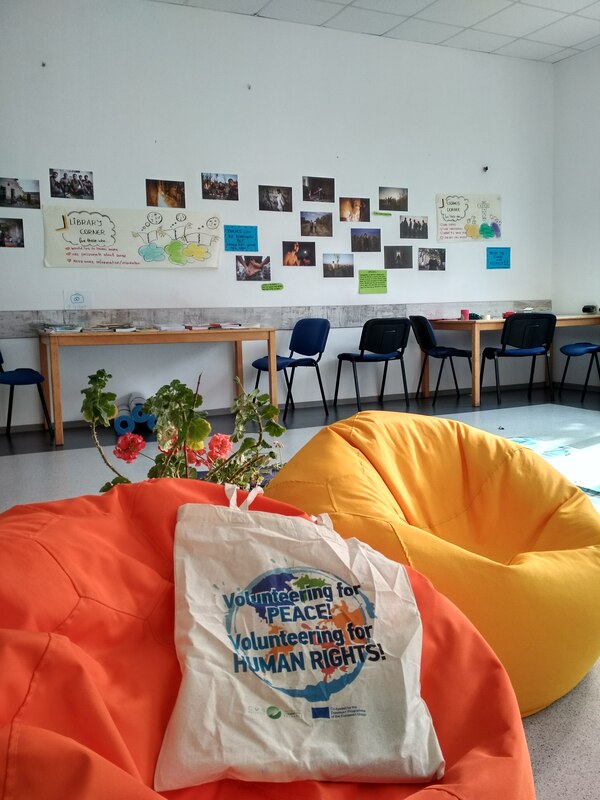 And because the topic is so important and makes connections in so many levels, by working in small groups the program touched the surfаce based on the personal experiences and the participants created some human rights crossword puzzles. 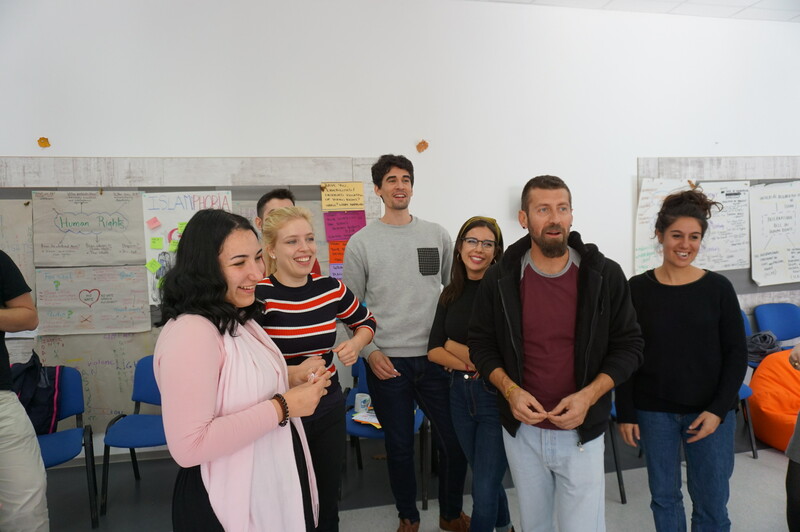 On the second day of the training “Human Rights from A to Z” the group was already bonded and the strong sides of each of the participants become more visible. Orientation about the objectives of the program and the motivation that connects everyone in the room were expressed. Thanks to the good weather the group walked the talk … or was it talk the walk?! 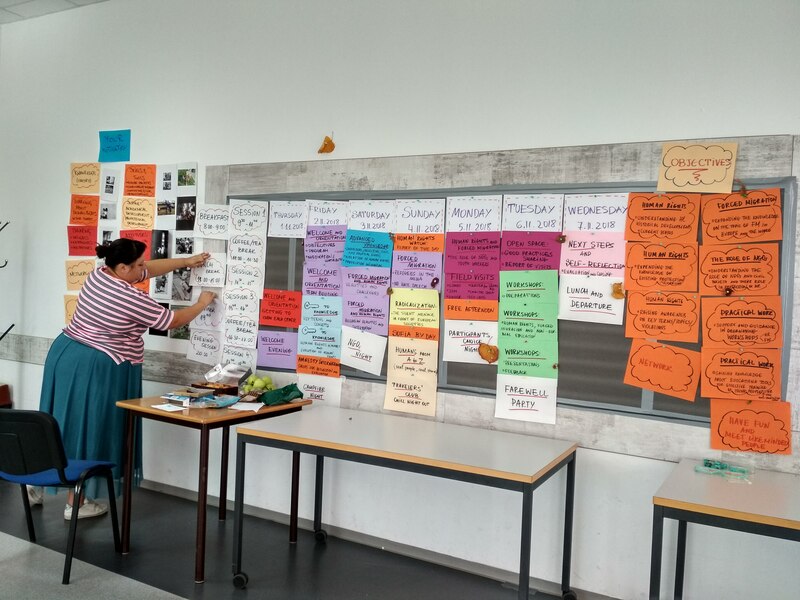 and during this day the key to knowledge sessions took over to find the key terms, concepts and evolution of human rights. 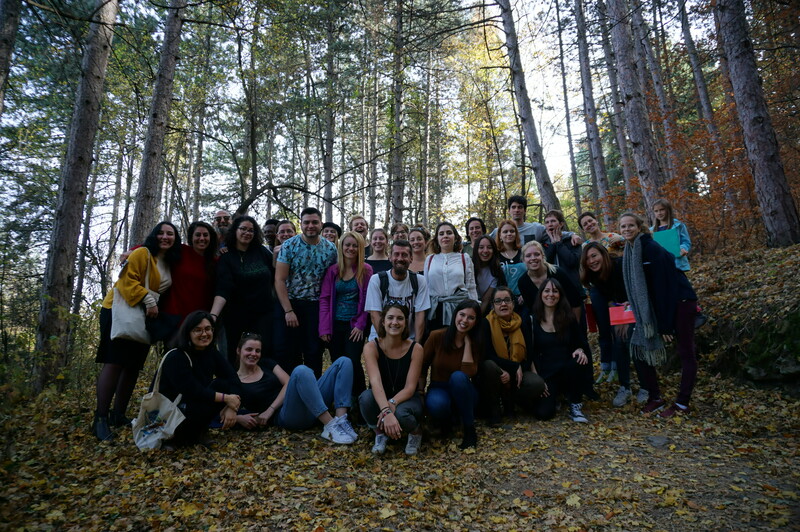 To keep the good spirits in the end of the day the group created outdoor “campfire therapy”, also thanks to the hosts at the venue of the Red Cross Training Center in Dolni Lozen to let us do it. On the third day of the training course the participants walked the journey of the refugees, discussed the human rights violations and protection mechanisms by international laws and doctrines. 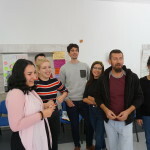 This session was followed by the reality stories from the expert guests Vladimir Panov and Lora Milanova from Bulgaria, who work on the field for many years now and were able to share the main challenges between the theory and practice for the refugees and for the people who work with them. Many examples and true stories were told. The day was hard and long, but the group saved some energy and stayed positive. 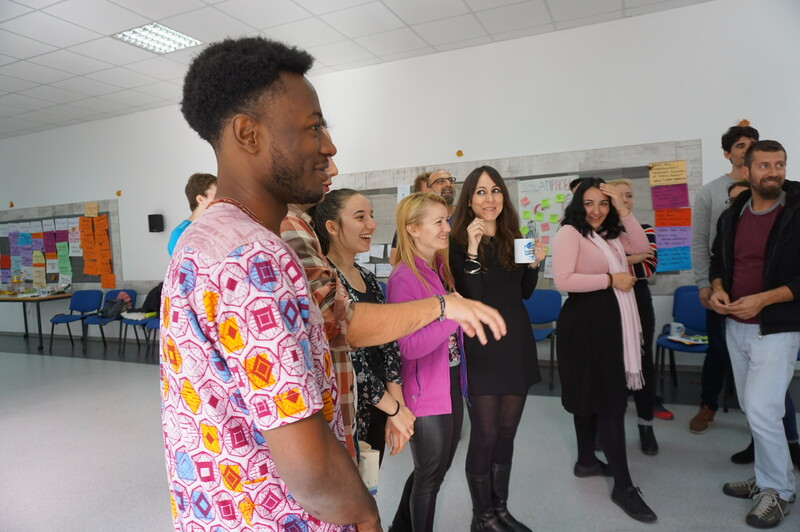 The fourth day started with presentations from the participants for the local realities, a homework that was given to them before arriving to the training and a homework very well prepared and presented by all the groups. 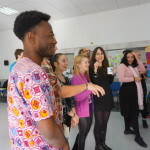 The day continued with session on hate speech, where a lot of negative examples for hate speech from the different countries and different levels of influence – politics, media, social life were visualised and discussed. Common specifics in the methods that the hate speech works were spotted. Positive examples were coming mostly from the NGO sector. The cherry top of the day was the Human library event that was organized at Cinema House in Sofia city center and the group of participants were invited and joined this amazing event to read the books collected in this edition of Human library: Humans from A to Z (photo gallery here). 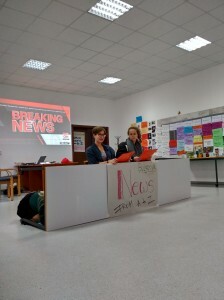 Nico, a participant presenting a Spanish partner in this project and who was born in Equatorial Guinea, volunteered and joined the event as a book. 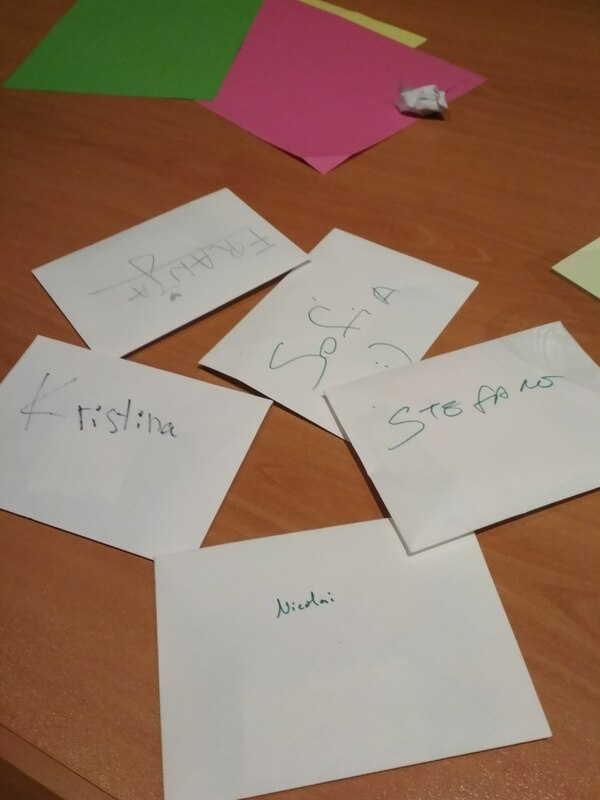 The feedback from the evening was very powerful and participants shared that it has been very inspirational and personal highlight moment for them. 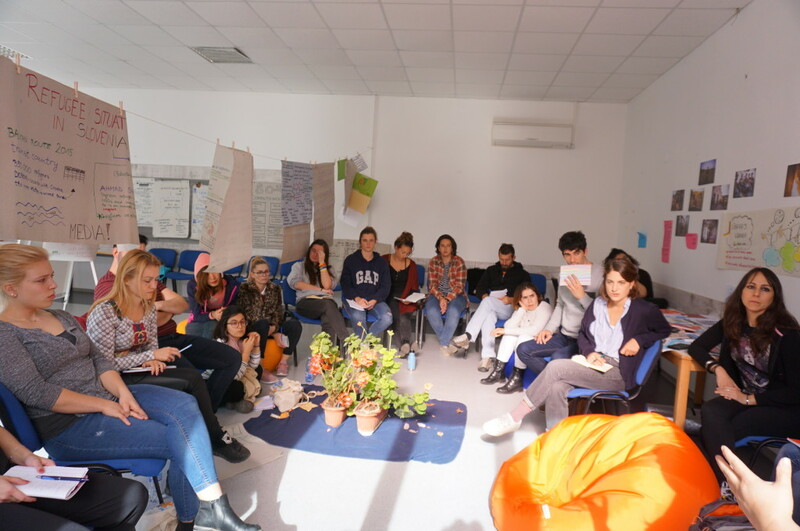 The next day continued with the inspiration and sharing ideas from the real life with meetings organized with the representatives of different NGOs in Bulgaria and the study visits took most of the day. In small groups the participants met Center for Legal Aid “Voice in Bulgaria” , UNHCR Bulgaria, Caritas Sofia, IOM Bulgaria, Lumos, Български Червен кръст (Bulgarian Red Cross). The last full day of the program was focused on the practicalities and how to organize an event back home. The participants were partnered by a country of representation and brainstormed ideas on future local activities to organize at home. 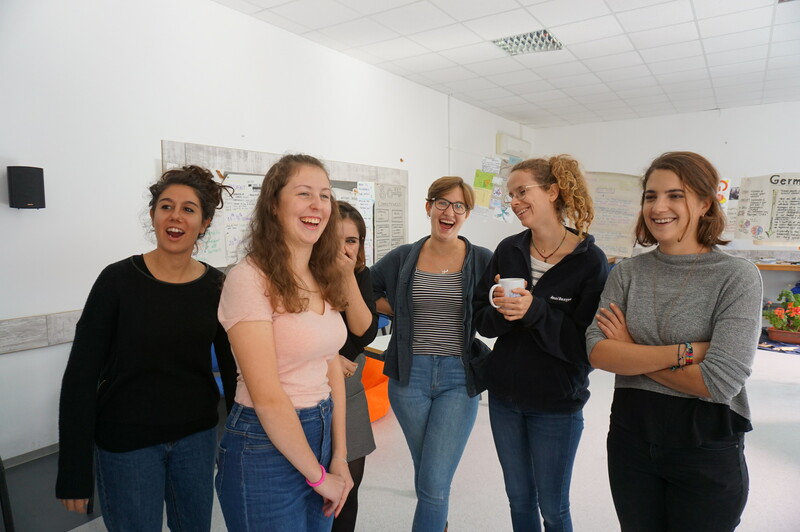 They had the tools and the support to plan an event and we can not wait to hear more about it when implemented, because the ideas are really amazing, achievable and powerful. 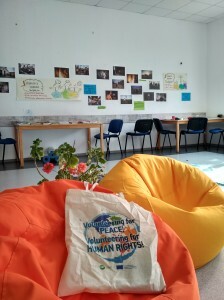 The evening was dedicated to farewell party and giving away the very well deserved Youthpass certificates to all participants. Departure day was set for 7th of November after lunch. The morning was full of gratitude amongst participants, but also towards themselves and during the evaluation session they all shared the satisfaction of learning so many things about the human rights, forced migration and the realities on the topic, but also they experienced changes of personal attitudes, expansion of personal point of views and realization of what their mission will be and readiness to be stronger defenders of the human rights when they go back home. Overall the days were also full of morning breaking news – briefing the group what happened the day before, the evening gatherings in “family” groups for reflection of the day, writing letters to the trainers, but also between each other, keeping the good vibes with playing music and games in the evenings and most of all taking care for and respecting each other! We, the organisers of this training, have no words to describe the diversity and the energy of the participants. 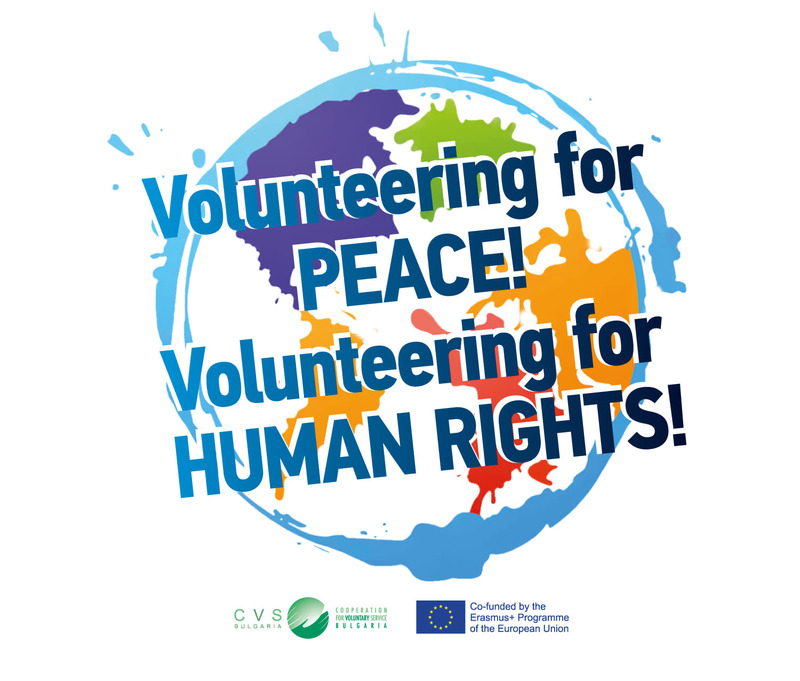 Each one of them chose to apply and gave us the opportunity to host them and create such a colourful palette of humans from A to Z, full of potential and perspectives to volunteer for Peace and volunteer for Human Rights! With their permission we share what they wrote to us the week after the training was over!